Zippo lighters have many styles and designs. Every Zippo has a number stamped on the bottom, which collectors find useful. Zippo has been in business for over 75 years. A lighter may require a wick adjustment if the flame becomes too high or low, or if its wick becomes black due to carbon. 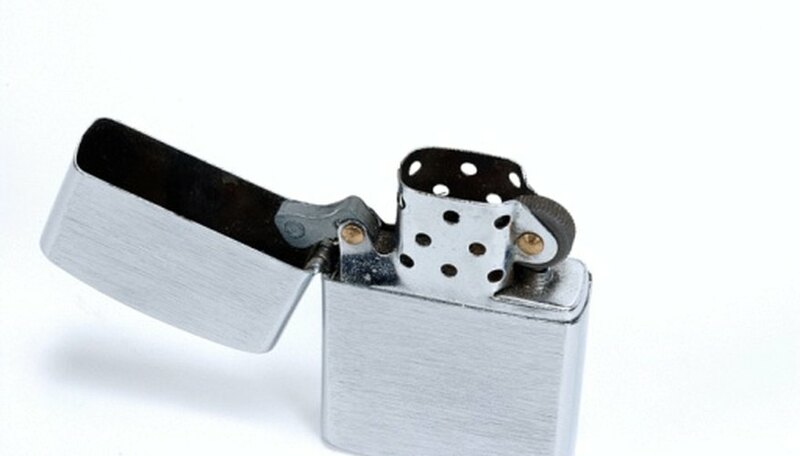 A genuine Zippo wick should always be used in a Zippo lighter. Pull the wick up through the chimney with a pair of tweezers. Pull until the wick appears clear. Cut the wick evenly to the top of the lighter's chimney. Check the wick in the chimney and make certain it is straight. Trim the wick every six months, or as needed. Replace the wick after three adjustments. Based in Ohio, Rhonda Gilmore has been writing short stories and poetry since 1977 and began writing blogs in 2008. Gilmore fell in love with writing after she took a creative writing class in high school. She is currently pursuing a career in law after being a nurse for 16 years. How Does a Zippo Lighter Work?